If you haven’t figured it out yet, one of my biggest motivations for writing my blog is to inspire other women to pick up power tools for the first time and tackle DIY and building projects they have always been too intimidated to try. It is definitely empowering to be able to tackle your own “honey do” projects around the house or even build your own furniture. Or we have had a male builder or woodworker mansplain something on social media, as if female builders were too busy baking cooking or getting their nails done to understand how how a tool worked. That brilliant design is actually custom hand lattered by my friend Jocie and I think it is AMAZING! I love the idea of creating my own line of hand lettered tees focusing on the things I am passionate about so I took Jocie’s FANTASTIC hand lettering course and have been practicing. A while back I created some free (sarcastic) printables for the blog using everything I learned and eventually I’m going to create some fun t-shirt designs. 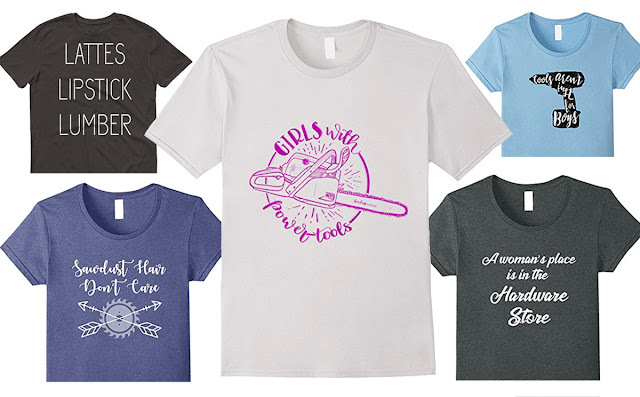 Power tools (and funny tees) aren’t just for boys anymore! If you are interested in hand lettering, or know someone who is, right now you can actually give Jocie’s class as a GIFT! Learn brush hand lettering techniques, tips and tricks. How can you create your own hand lettered tees? I realize not everyone wants to design their own shirt, and I have you guys covered too! I actually have a little shop on Amazon set up with all of my favorite DIY (and crafting) related designs for the and power tool loving DIY girl! In the current political environment, women are started to realize just how much power they have can yield when they are brave enough to take it. We need to flip the stereotype on its head! I love the looks I get when I walk into Home Depot sporting my "Silly Boys" tee. In fact, I got a TON of compliments on the shirt I was wearing when I filmed this video at a local lumberyard. I'm excited to shout it from the rooftops: I'm a girl with power tools and I'm in the woodshop to stay!! 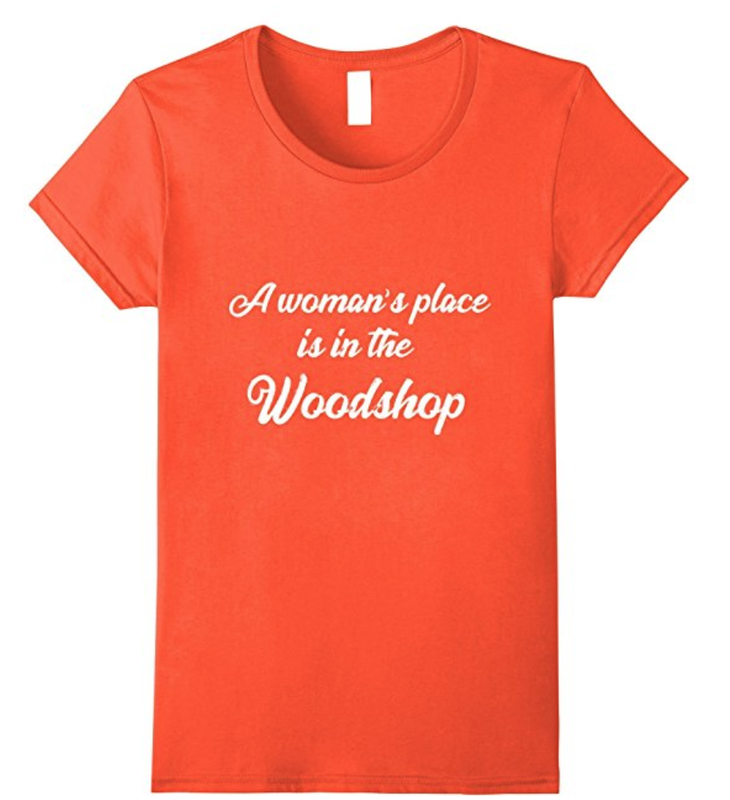 VISIT MY AMAZON SHOP FOR A FULL SELECTION OF TEES!